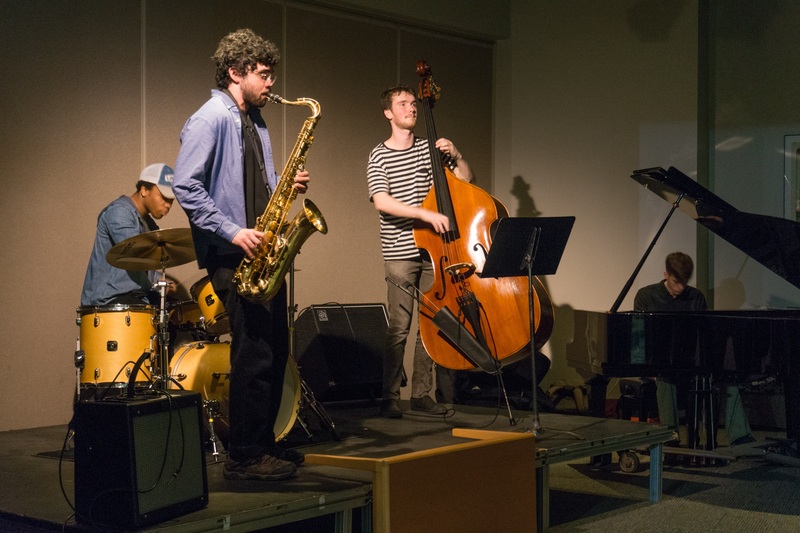 From left to right: juniors Daniel Green, Sebastian Roman, Clay Knoll and Nathan Glaser performing at Monday night’s jazz jam. On any given Monday night, Conservatory students can be found honing their craft on the stage of Mead-Witter on the second floor of the Warch Campus Center. Drop by to join in or just to listen!